Understand the requirements of the information they produce, not only formatting and size requirements and restrictions, but balancing the need to provide adequate useful information against the danger of providing too much information, which can lead to confusion and information overload. Understand the needs of the audience or users who will be using the materials they produce and become advocates for those users. By placing themselves in the user’s position, technical writers often identify areas that are confusing or just don’t work the way a user would expect them to work. Arrange the material in such a way as to promote ease of use and fast access to needed information. Alert users to the perils of performing a task incorrectly or of failing to perform a required task or safety measure. Harmonize technical communication deliverables with your product’s or service’s branding and messaging. Look for ways to perform tasks that are easier and/or more efficient or that increase the margin of safety. 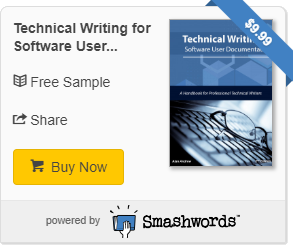 Technical writers are not just writers, although that is certainly a major aspect of their duties. They are also user advocates, researchers, testers and publishers. All tasks that are, in the end, performed to enhance the usability and value of your products or services. In short, technical writers are communications professionals accustomed to working with highly technical information and complex subjects.